Final Fantasy XV has been the talk of the town ever since Tokyo Game Show 2014. Square Enix slapped it with a new director who claims he wants to make it a more "casual" experience so a larger audience can access its depth. 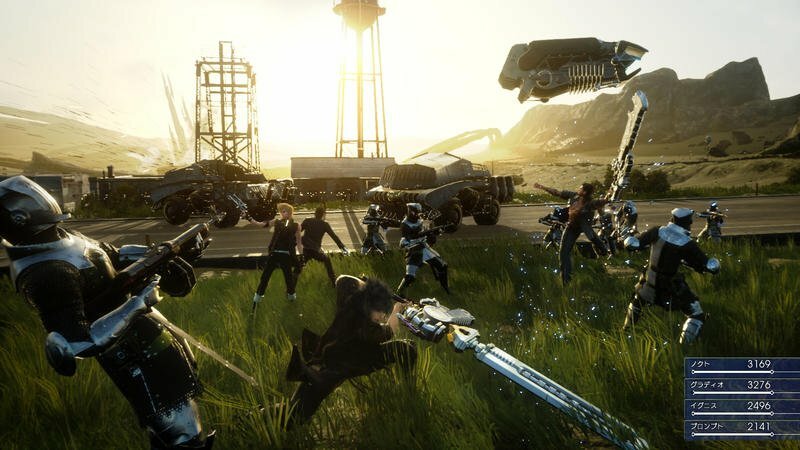 Final Fantasy has never been the most complex RPG series in the world, but many fans have taken up arms against the game's one-button combat. During a livestream presentation of the game, Director Hajime Tabata addresses the issue by explaining that the combat is far more complex than simply pressing the same button repeatedly. There are other combinations and situations you will have to consider when charging into a fight. "When you continue to hold down the guard button, you can basically auto-guard and evade, but it consumes MP," he says. "You can't infinitely evade. You have to think about timing, when it's a good idea to attack or evade. "Also, you aren't invincible. There are attacks you can't avoid. In those cases, there are also essential technical evasion methods. When you push the attack button, you invoke the standard combo. You can change the actions by using it in coordination with the directional buttons. The actions change depending on your circumstances—things like whether you're guarding and whether the timing is right, or if your companions are nearby." It sounds a lot more like Super Smash Bros. than anything. Aiming with the analog sticks to use different attacks, simple evasion, timing button presses, and limited guarding ability. Super Smash Bros. is popular because it is a fun fighting game, but unlike something far more complex like Virtua Fighter and Tekken, all of the characters' moves and abilities are readily available at the push of two buttons and the analog stick. The best Super Smash Bros. players are able to toy around with the shallowness in order to find the depth. That's why professional players are able to rock in the game, but casual player are able to enjoy it too. A casual fighting game for all. Final Fantasy XV is borrowing from this mindset to get its combat right. The livestream footage shows a fast and frantic battle that looks like mindless hack 'n slash, but if Square Enix can successfully copy this template from Nintendo and apply it to this take on Final Fantasy, then it will make a believer out of me.